Anne Bradstreet was born in 1612 in England. In 1630 she emigrated to Massachusetts, with her father Thomas Dudley and her husband Simon Bradstreet. They sailed as members of the expedition led by John Winthrop, eventually the first governor of the colony. After the three-month voyage, suffering alternating boredom and terror, living in close quarters and eating salt meats, the party landed on the wild coast of Massachussets Bay in the blazing heat near the famine-ridden frontier village of Salem. The Bradstreets first lived in Cambridge, then Ipswich, and finally settled in Andover where Anne spent the rest of her life. She was America’s first English poet, and, despite the difficulties and privations of frontier life, she began writing a year after her arrival and continued to write for the next forty years. Her poems were published in London without her knowledge by her brother-in-law in 1650 under the title The Tenth Muse Lately Sprung Up in America, and a posthumous second edition with her own corrections and editions was published in Boston in 1678. The poems recorded here give a flavour of her chief subjects. She ignored colonial politics and the dangers surrounding her; she did not write about Native Americans. She worshipped the three strong male figures in her life: God, her father the second governor, and her husband who, after her death, also became governor of the colony. 'To My Dear and Loving Husband' expresses a love for a rare man strengthened by piety, and no less human for that. Anne Bradstreet suffered illness all her life: she contracted smallpox at sixteen and much of her writing reflects domestic fears and the fear of loved ones dying. But these fears are overlaid with the certainties of seventeenth-century Puritan belief. The disaster described in 'Verses Upon the Burning of Our House' teaches a lesson about the vanity of earthly possessions. 'Upon a Fit of Sickness' sets out a nineteen-year-old girl’s acceptance of the certainty of death and of the will of God. The delicate and tender poem 'Before the Birth of One of Her Children' voices the realistic (in the seventeenth century) fear of death in childbirth. These homely lines come from a marriage in which the lovers are also friends. The certainty of immortality is balanced by the human dread of leaving her husband and her eight children. 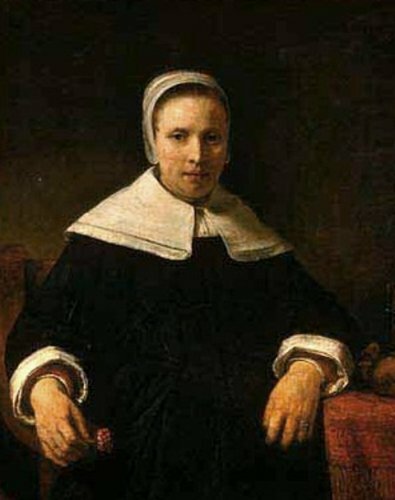 In the centuries after her death in 1672, Anne Bradstreet has gradually come to be seen as the leading poet (alongside Charles Taylor) of seventeenth-century New England. In 1959 the American poet John Berryman paid tribute to her in his long poem Homage to Mistress Bradstreet.